The evidence is staggering. Actual funding allocations recently revealed through freedom of information requests show that many non-government schools are receiving, from state and federal government sources alone, substantially more than 100 per cent of the school resourcing standard (i.e. the minimum level of funding necessary to deliver literacy and numeracy benchmarks for all students). Indeed, some schools in the non-government sector are receiving more than 150 per cent of the school resourcing standard. These schools also charge tuition fees that can be equal to an additional 200 per cent of the school resourcing standard. 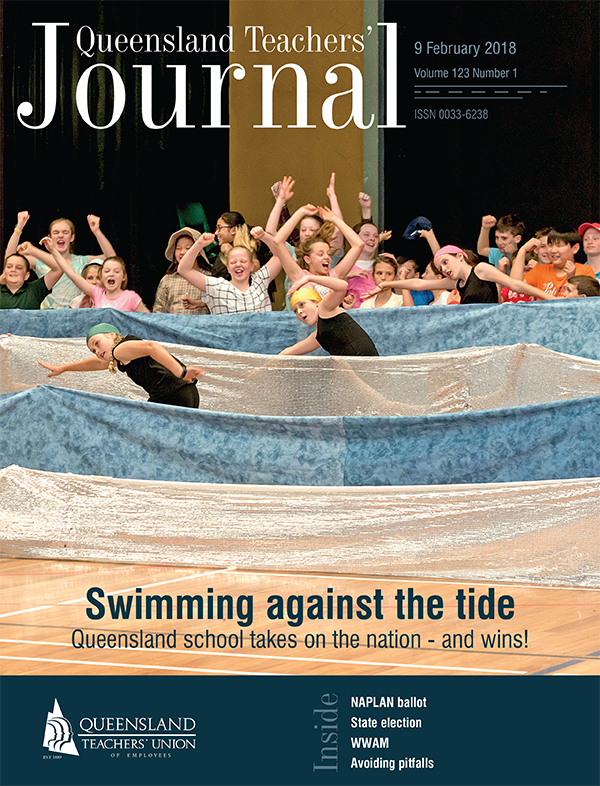 One Queensland example sees a major faith-based independent school receive 150 per cent of the school resource standard from combined government sources and charge fees of more than $12,000 a year. This level of funding stands in sharp contrast with the legislated maximum funding level available to government schools from government sources of 90 per cent of the school resourcing standard: 90 per cent of the minimum level of funding required to deliver literacy and numeracy benchmarks for all students. For more than a decade, the Australian Education Union and the Australian community conducted a school funding campaign predicated on the knowledge that extra money, spent with the wisdom of the local knowledge of community and students, can and will make an important difference in addressing the impact of disadvantage in the lives of students in all schools. Queensland state schools share around $245 million a year in additional resources, and have been using this money (now called Investing for Success) to great effect to deliver opportunities for students that would otherwise have been denied. The Turnbull government’s spurious claims that it has now implemented a true needs-based funding model have been largely rejected by the Australian community. If for no other reason, the proposed imposition of a suite of new education “reforms” as a condition of additional funding, coupled with the reduction in the overall funding level by $17 billion over the next decade, has convinced educators and parents that the spirit and intent of the Gonski school funding reforms has been subverted. The numbers bear out this view. In March, the Australian Education Union will launch the new school funding campaign, as we prepare for the potential of an early federal election some time later this year. Attempts to steer Australia along a different, positive education pathway have been frustrated under the Abbott/Turnbull governments. Educational opportunities for thousands of school students have been diminished because of the policies of those governments. The system of federal education policy is broken. It is actively working against the best interests of students, parents, teachers and principals in the largest school sector. We will be campaigning to change the rules for education in this nation. When we once again stand at a crossroads at the next federal election, we must do all that we can to ensure that the path chosen on this occasion is the one that leads to better outcomes for all.